When you are camping out on a dry or sunny day, it is fairly easy to get the fire going. All you have to go is gather the firewood, light up a spark and then tend the fire until it is handsome enough to keep you warm or to cook some quality food. The real challenge is when you are outdoors on a wet or damp day or camping in the snow. At such times, kindling a fire is a fairly hard job. This is where the following tips come in handy. 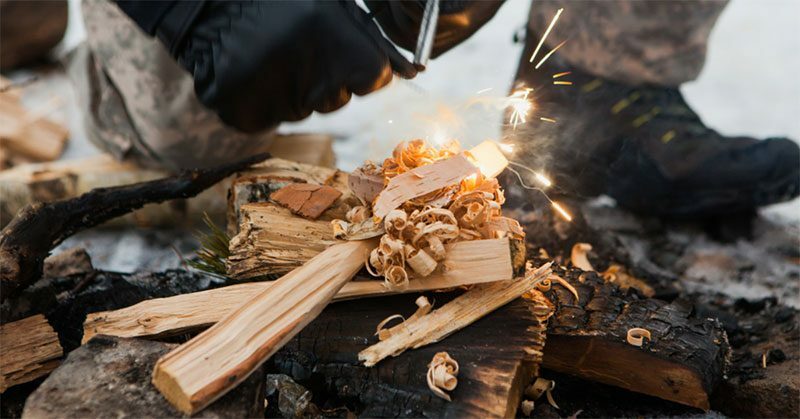 These tips will help you create a fire in rainy or wet conditions.